1. Life is not negotiable. No other asset can be important enough to be offset against human life. Given the manifold possibilities and the road traffic safety level already reached in neighboring countries such as Sweden, it may well be questioned critically whether the right to life and physical integrity in Germany and many EU member states having constitutional provisions to that effect is indeed protected by all available means. It is evident that in the speed ranges in which we predominantly participate in motor vehicle traffic, human error tends to be the norm rather than the exception. However, our modern-day road traffic system is much too rarely adapted to this fact. endurance of human beings The entire road transport system must be adapted to human needs, not vice versa. The indicator and criterion for the design of a traffic system is the biological tolerance of human beings or, in more colloquial terms, how much a person can bear. Accident research has yielded a number of evidence-based threshold values in this respect. 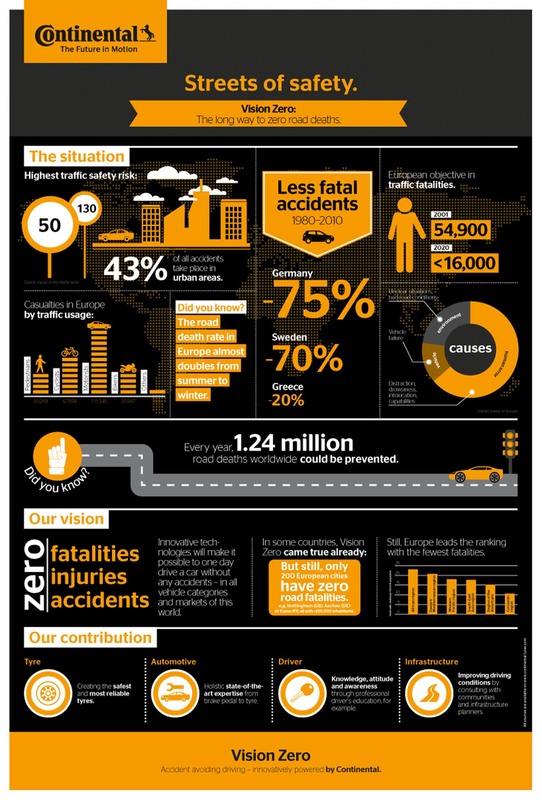 Active and passive safety systems take on special importance in this context. transport system In road traffic law it is primarily the individual road user who is held liable. The view taken by Vision Zero, however, is that the individual has the responsibility to observe laws and regulations, whereas the system designers must ensure that the system as a whole is safe. The system designers mainly include the public authorities in charge of building and maintaining the roads, the vehicle manufacturers, and road transport companies engaged in the transport of goods or passengers, but also politicians, the legislative authorities, the judiciary, and the police.